11 customers were able to try this promotional product before it sold out at 8:00 PM on January 4. The regular, guaranteed lowest price on 200 of these sets would be $190 with set-up! This flag set is a solid choice with a splash of color! 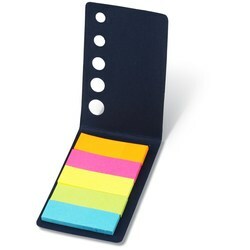 Bring this handy case along for your next filing project or note-taking task. Adhesive flags in five different colors give you enough variety for color-coding by week day, importance or project. Comes with orange, pink, yellow, green and blue colored flags. 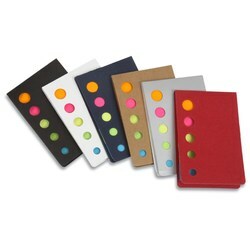 All supplies are stored inside a paper sleeve with circle cutouts that the flag colors peek through. Ideal advertiser for book clubs, speaking engagements, libraries, office supply stores and much more. Size: 2-1/4" x 3-1/4" x 1/8".